Established on the shores of the Colorado River before it plunges into the Grand Canyon, Glen Canyon offers some of the most dramatic shoreline sights in the country. Sheer canyon walls, slick rocks, hundreds of inlets to explore in your boat or to hike, all are available here. Construction on Glen Canyon Dam began in 1956 to harness the power of the mighty Colorado River. 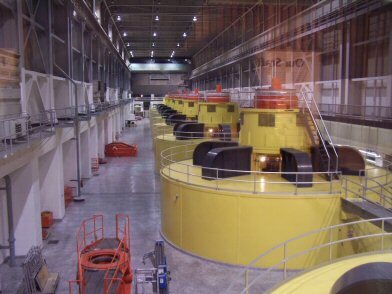 The plan was to obtain reliable sources of water and hydroelectric power, and both aims succeeded. A byproduct of this was the creation of Lake Powell. 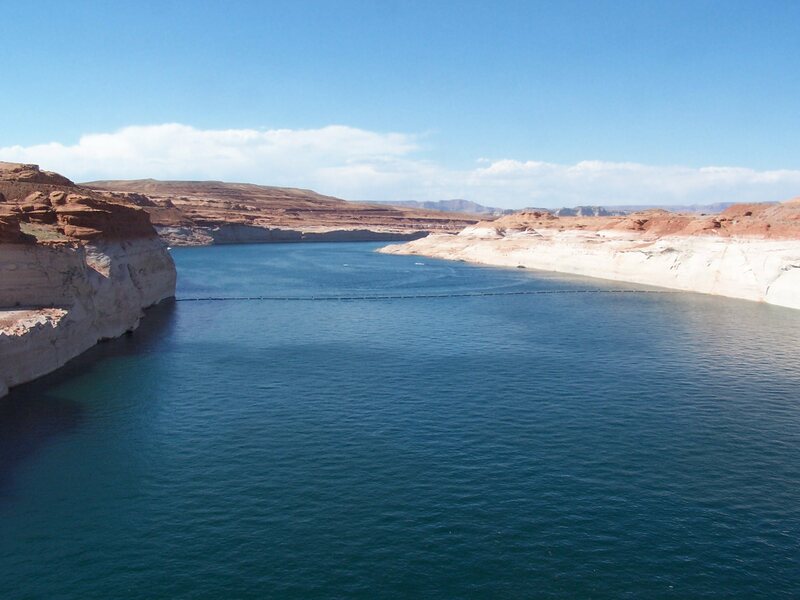 Containing nearly 1900 miles of coast, Lake Powell offers more shoreline than the entire West Coast of the United States. 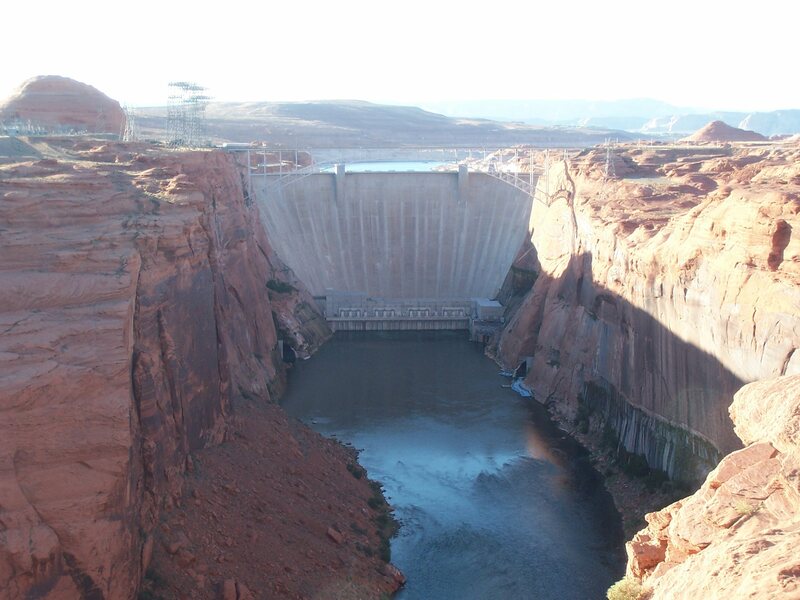 The construction of Glen Canyon Dam was done in some of the most remote territory in the West, and required the building of a town, Page. Lake Powell is named for John Wesley Powell, the first European man to run the Colorado River from Canyonlands through the Grand Canyon. Okay, fans of the original "Planet of the Apes", remember the landscape where the astronauts crash-landed? 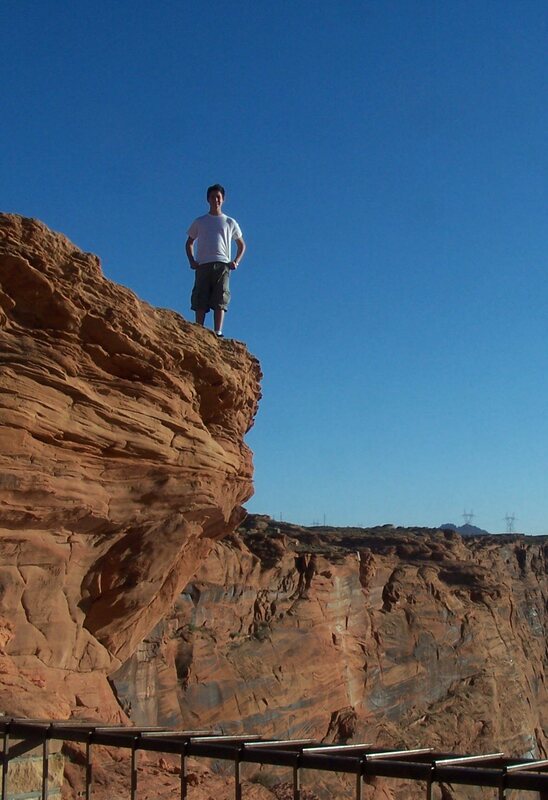 That was filmed in Lake Powell. 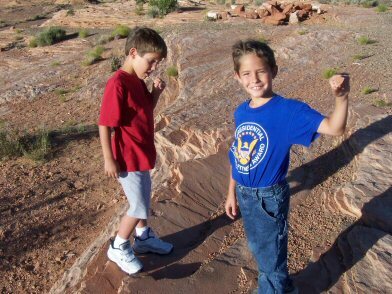 The canyon lands of Utah and the Grand Canyon of Arizona are connected by this scenic and wild wilderness. There are three marinas for your boats, plenty of inlets for camping, and don't forget Rainbow Bridge National Monument, the largest natural arch in the world. There's no road leading to it; you can take a boat up the canyon and a short hike, or hike overland from Arizona. It's so impressive it gets its own stamp as a subset of Glen Canyon NRA. I haven't been to Lake Powell since I was a kid. 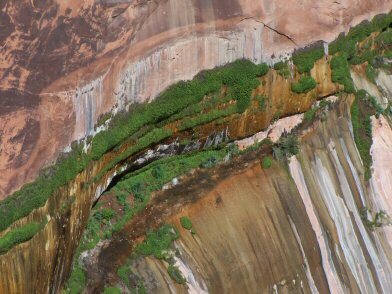 But even then we discovered signs of ancient indian habitation - hand and footholds carved into the side of a cliff. There were three above the waterline, and at least that many below. The waterskiing was excellent, and at the end of the day we just pulled into a tiny cove and set our tent on a sandy beach. Yes I'd driven past Lake Powell many times, but the summer of 2004 gave me a chance to see just a little more. We took the tour of the Dam, and I recommend it highly. There's more security at the Dam itself ever since the explosion at Oklahoma City -- we couldn't bring any bags in, and had to pass through metal detectors. But beyond that, the staff was as always helpful and courteous. The tour lasted about 30 minutes, and let us see the top of the dam, the inside where it never gets above 56 degrees fahrenheit, and the mighty turbines that generate electricity that helps power Phoenix and Las Vegas. From Flagstaff, go north on Highway 89A to Page. That should be your base of operations; Glen Canyon Dam is only a mile out of town, and Wahweap Marina is very close to that.